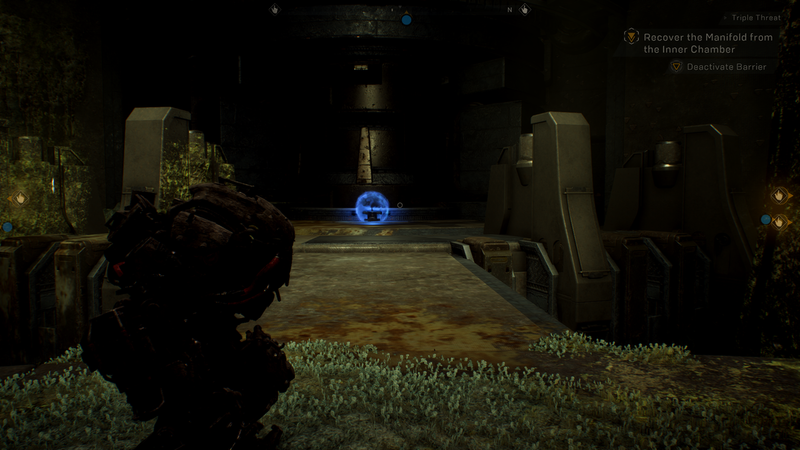 In this guide, we show you how to deactivate the colored barriers in the Triple Threat mission. 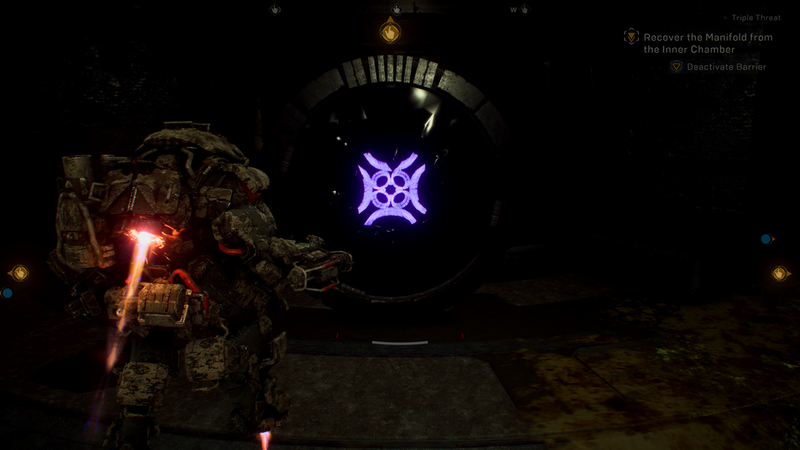 Deactive Barrier is the final step in the Triple Threat mission, as part of an Anthem environmental puzzle that's available during this weekends open beta demo. Despite being simple, the puzzle is challenging in a pug environment due to the fact there's no text chat, and not everyone uses voice communication. To recover the Manifold from within the Inner Chamber, you'll need to work together. The Barrier is located at the end of the walkway. As you enter the large room, there's three symbols located in the the North-East, South-East, and South-West corners. Each can be interacted with, and there's a selection of colours: blue, purple, red, and yellow. You'll need to interact with each until the correct color combination is displayed. Once you've got all three panels display the right combination, the barrier is deactivated and you'll complete the mission. Scattered around the room are multiple clues, with all of them near to their respective control panel. You just have to match each clue to lift the barrier. On the left: Roughly head height, and projected onto a nearby wall. Straight ahead: Underneath the bridge, just before you cross it. On your right: Projected high on the wall, on the left side as you face the panel. Each panel needs to be turned to the correct colour.